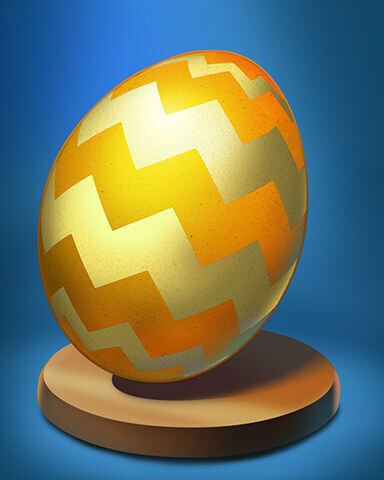 Pogo’s Great Egg Hunt has begun and lasts through April 28th. 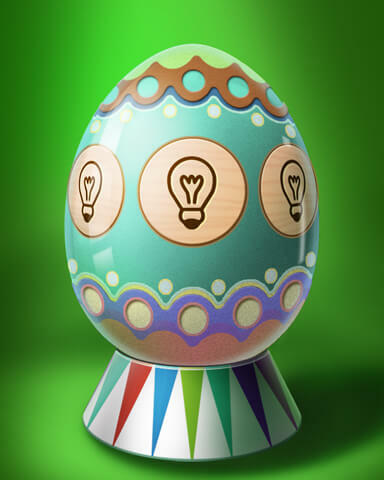 To get started, visit The Great Egg Hunt page and start activating your badges. 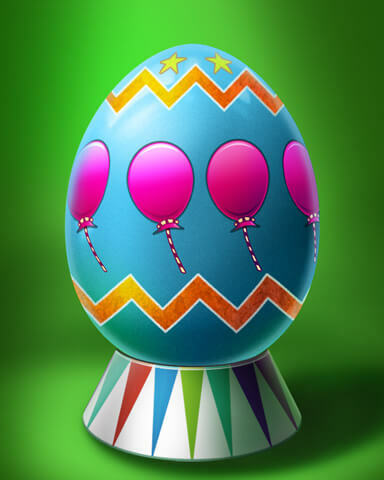 Completing these badges will earn you points, which you can keep track of on the Great Egg Hunt page. At certain levels of points, you’ll earn power-up packs and free badges. If you do not want to do the free badges for your points, there are alternative badges you can purchase and complete to earn points as well. 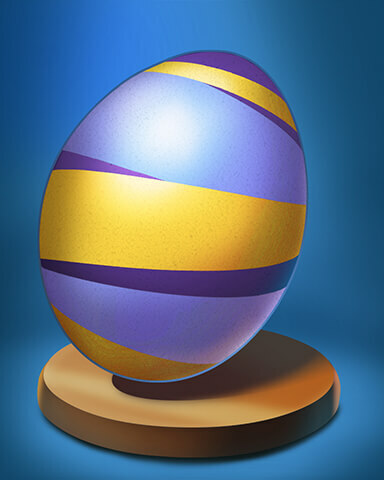 These rewards will be awarded to eligible players after the event ends. Below are the badges currently available (more are coming soon each Monday). Let us know your thoughts on this event in a comment below! 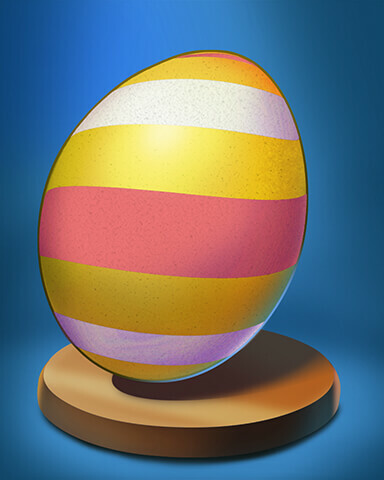 Remove 7500 red candies before the event ends! Complete 95 Airport Levels before the event ends! 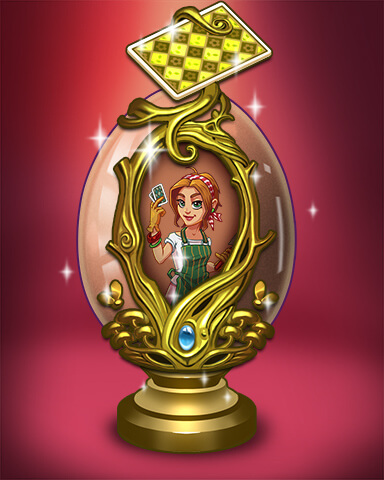 Be the first one to call Bingo 5 times before the event ends! Complete 80 levels each with 100% accuracy before the event ends! Find 1000 objects before the event ends! Pop all the red balloons in the game 25 times before the event ends! Serve 600 customers in 2 weeks! Match 5 or more dolls in one move 400 times in 2 weeks! Find 500 objects before the event ends! Score 300,000 points before the event ends! Make 300 super pops before the event ends! Make 1500 3-letter words before the event ends! 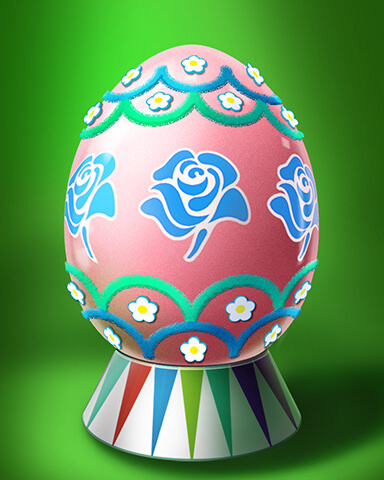 Find 40 Blue Roses before the event ends! Match 2500 purple stones before the event ends! Make 1500 quick finds before the event ends! Complete 5 episodes before the event ends! Complete 15 puzzles in 2 weeks! Play the bonus level 8 times in 2 weeks! Clear 25 foundation stacks before the event ends! Finish 30 levels with 3 stars before the event ends! Clear 80 peaks before the event ends! Score 35,000 points before the event ends! Match 50 Mini-Animal Tiles before the event ends! Complete 15 scenes before the event ends! Correctly answer 130 questions before the event ends! Score 600 gin points before the event ends! Finish 20 levels without using any hints before the event ends! Remove 1800 tiles before the event ends! Earn 35 flying aces before the event ends! 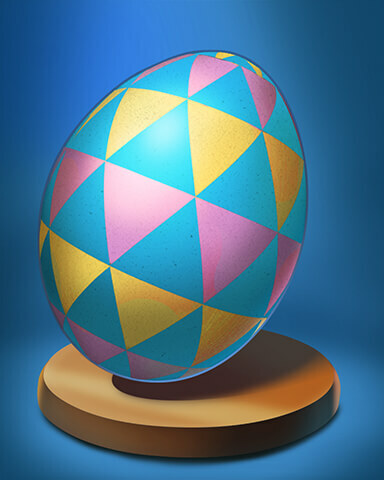 Make 140 diagonal slingos before the event ends! Clear 40 suited sets before the event ends! 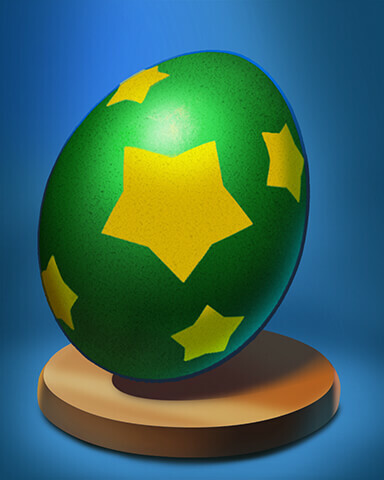 Earn 28 power-ups before the event ends! Score 14,000 points before the event ends! Earn 50 star power-ups before the event ends! Remove 3000 animals before the event ends! Win 15 hands before the event ends! Get a Team Bonus 6 times before the event ends! Scratch 15 bonus cards before the event ends! Find 220 objects before the event ends! 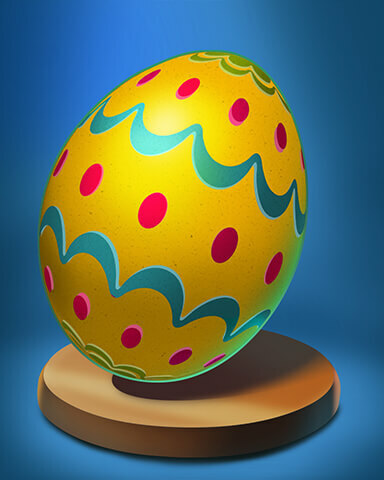 Find 180 words that do not contain the letter ‘E’ before the event ends! Win 13 games before the event ends! Meld 17 Jokers in 2 weeks! Collect 18 locked tiles in 2 weeks! Find 20 5-letter words in 2 weeks! Earn 2000 chips in 2 weeks! 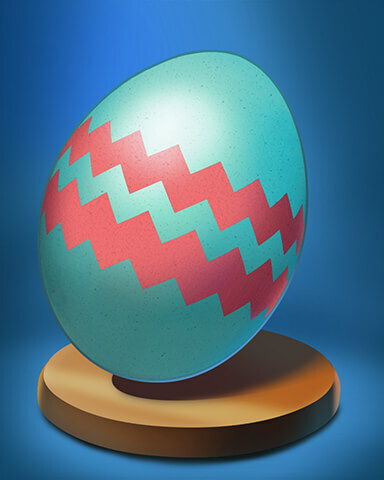 Does this have anything to do with the Wednesday weekly challenges? I’m finding it a little confusing. No. They put them in the category of Wednesday badge so you can play a mix and match and a premium album badge at the same time. 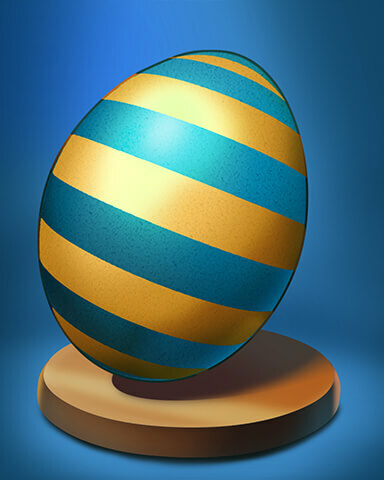 Well, I clicked on The Great Egg Hunt page and there are no badges showing….April Fools? I have my 10 free activated on both accounts, but only purchased the 8 M&M on my account. Sorry, but that doesn’t matter to me. The complete collection is more important to me than the gems. Suz, have you completed all the badges offered by Pogo? You are my hero! No, haven’t finished a one. But I can see that none of the free ones appear in any of my albums, and they are all activated. The ones I purchased are in my M&M Albums, exactly where I should be. I’m going to pick my favorites to do first, and still don’t think I’ll have many of them done today. done some of them … and they show up on my badges list, but when I looked for them in a m/m album, there is nothing there, also they aren’t in any other album … I wonder where they are putting them …. thanks … have a great week. The free badges are not M&M, they are considered weekly badges. After the event I expect they will show up in our Special Edition Album, but that’s just a guess. If you don’t complete them by 4/28 they will just disappear. But you will not lose anything that you completed. I’m with you Suz! And I’m sure many others are as well. I like the badges and don’t care about the challenges because no challenge is insurmountable. Time – well that’s a different story for a lot of players, I’m lucky to have unlimited time available. The badges are absolutely gorgeous, some of the best they’ve ever done! I did the Poppit Bingo badge and when I went into the Poppit Bingo page it showed as a Wednesday challenge. But when I look in the 2019 album, it’s not there. If you don’t do the free badges prior to 4/28/19 the ones you didn’t complete will disappear. Anything you purchase will be there to do whenever you want, but the points will only count if you complete them prior to 4/28. 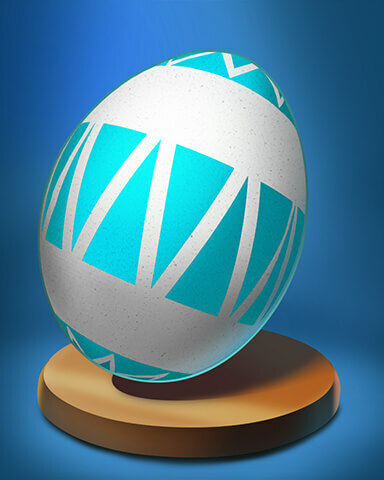 The eggs that you can purchase will have a different design than any of the free ones. But just like any other optional content, it’s up to you whether you purchase them or not. what a collection there are alot of badges.. also if you look on the easy badges there are arrows for more easy badges to be done after they are released.
. also i saw this note Optional Mix-n-Match Challenges must be completed before event ends to count toward point progress. does this mean we need to do all badges excluding the ones you have to buy? i am looking for tips for the badges there is a bunch of them . I am so happy that we can activate multiple badges all at once! That will help alleviate the boredom from playing one game constantly. The badges are beautiful! I look forward to working on this marathon, and have started the Sweet Tooth Town Master badge — easy, but it will be a long one! Good luck to all!! Well, I too am liking this challenge…you can activate a number of them at the same time, which I like. That way I am not bored just playing the same game over and over. I think this will be doable for me. Good luck everyone. AND there are tokens for each badge!!!!! If they are all Wednesday challenges how do you activate more than one at the time? I thought you could only activate one at the time on a Wednesday challenge. I know you can activate as many as 4 challenges but all in a different category. Any info would be appreciated. Thank you! 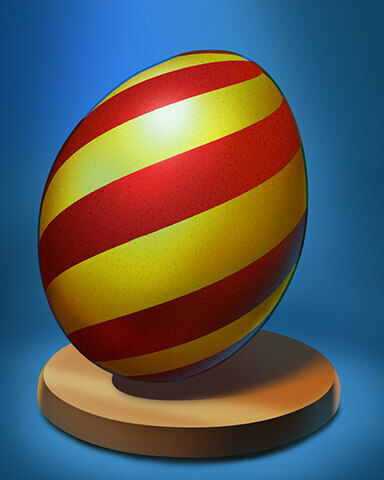 I was right the 10 challenges showing on last week’s challenge by mistake on the Great Egg Hunt . So, we don’t have to buy the 40 gem badges to be “complete”? I was confused about this. TIA!! I’m confused to, do we have to do the poppit bingo badge in one week or can we do it over the month, and has anyone any tips on what level to play in sweet tooth town. 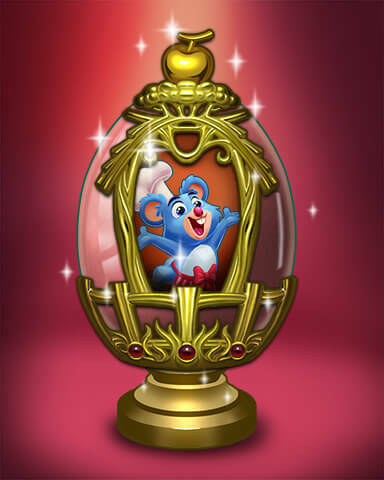 Thanks for the reply, I wasn’t sure as there is another badge for solitaire gardens coming soon so that got me thinking it maybe for the week. On Sweet Toot Town play level 11 multiple times… you get lots of red candies. You don’t have to win the game to receive credit… so just go for matching up the reds. Thanks for the tip, Evelyn! I’m getting in the vicinity of 75 reds per game on this level. Sometimes nearly 100!! Can I just say how happy I am with all of the free badges Pogo has been handing out! Evelyn, this is an awesome tip!! I tried it and it works great!!! This is the kind of info we need to get things done. I know so little about this game that this is going to sound stupid, but where is level 11? Thank you! Thanks, Evelyn, for the tip! That’s exactly what I was looking for. STT is growing on me. When I first played it, I thought to myself “Pogo’s got to be kidding.” Now I’m liking it. Me too!!! I won Level 10 but it just won’t advance me to Level 11… says its Out of Stock… ??? i can’t get past level 10. What’s your secret? For red candies in Sweet Tooth Town, play the bakery level 3.. That level has a lot of red candies. Good luck getting those points! Thanks Dan, I was playing that level but did wonder if there were more red candies on another level. If you can load the Candy Store, Level 2 works very well. 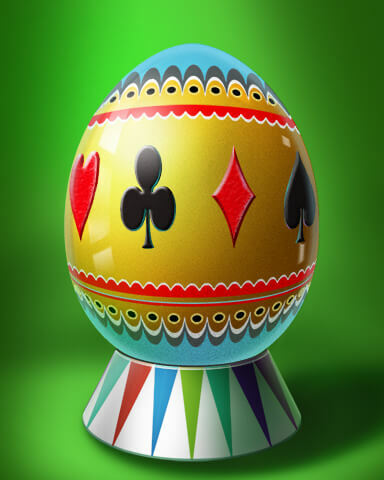 I just completed the first easy badge, Orange Spotted Egg, in First Class Solitaire. I can not find which album this went into. Maybe because I’ve been up all night waiting for this to start up. Good morning. Any suggestions on what level in Sweet Tooth Town has the most red candies? I am only on the second building, so may be limited. Thank you for any suggestions! Sweet Tooth Town match 7,500 red candies. I am using the Candy Store and level 2. The board is full of red candies. When I make a 5 match I get a wild candy and I use that to clear all the red candies. Thank you. I find this game confusing. I am in Bakery Level 23. How do I get to Candy Store? Thank you! The Candy Store is the 3rd building. I see from your above post that you are on the 2nd building. So that option is not available to you yet. I’m not that far either but, Bernadette, I’m finding the Bakery shop 11 is working quite well for me so far. Thank you! Now another question. I did build the candy store but how do I get back to the Bakery? Cannot seem to find how to do that. Thank you my friends. I’m sorry again for the stupid comments but how do you get buildings? Thanks! I am not much further then you are but if you can get to Bakery Level 25 there are tons of red ones as I am averaging over 100. Thanks for the tip about candy store level 2. I often get only a few moves and it takes over and cascades for many moves. Sometimes it clears the whole board. It feels like auto mode. Super fun and red candies have ranged from 72 to 180 for me. I activated all ten free ones. I can’t seem to find where they are in our collection. They’re not in my m&m album or special addition. I wanted to look at a list of them to decide which I wanted to do first. They do show up as activated on the individual game page. I guess I will just make a list of the 10 from The above post. I am working on the Sweet town one and it is showing on challenges tab as a Wednesday Challenge, so I think they have not completely fixed the glitch that had them showing up for a while under “next weeks”. WOW, I’m really confused. I’m pretty sure that the badges we purchase are M-n-M’s, however, what “album” will the “free” badges be posted in? Also, in re the badges we can purchase, if we don’t buy them by “04-28-’19” can they be purchased after “04-28-’19”? Thanks in advance! No, the alternate badges are scheduled to retire on 4/28/19, no guarantee that they will ever return. and the person wrote Album….. will have wait on a update on this…. Sweet Tooth Town – The Chocolate Shop, Level 2… I’m getting anywhere from 60 to 75 red candies, 600 to 1200 coins per game. I rarely match anything other than red candies, and am still winning the level each time, so maybe this will work for others too? i was wondering the same thing.. i finished one of the badges.. it shows in my badges won but i didnt see it in a album anywhere.. 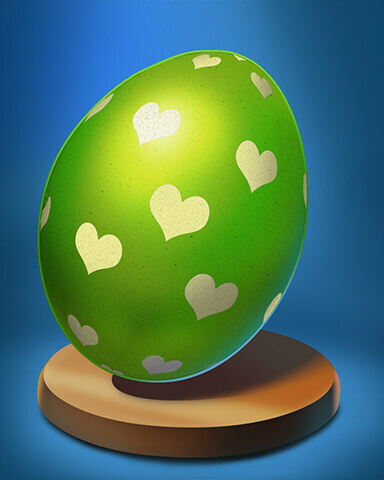 This Egg Hunt looks like a lot of fun! The badges are beautiful and much nicer, imo, than the repetitive badges awarded for marathons. I am excited to get started on these challenges & I am hoping I will be able to squeeze in enough “Pogo Time” this month because I (luckily) have quite a bit of work coming up in April. Am I missing something? I only see the option to complete 104 points out of the 126 points needed to complete the challenge. Is there some unspoken expectation for us to badges to complete this challenge? There are optional m&m badges you can purchase to make up the rest of the points. It looks like the 104 points is what we are aiming for and the extra reward is for those willing to buy the other badges. This has irked me. 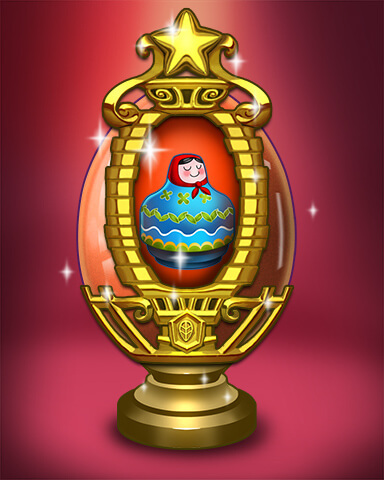 It appears to be a badge in the last gift box but there is no way I am spending 220 gems to get it. I know many will disagree but no badge is worth 40 gems, or 30 and 20 is a push for a non animated badge. It’s no different than the Magic Marathons. Everyone got 30 badges for free, and if you wanted all 5 completion badges you needed to purchase badges 31 thru 60. These “marathons” have all been run using the same basic formula. Everyone gets a lot of content for free, and then there is more content that can purchased if someone wants to, and there is an additional reward if they do so. But it’s not just purchasing them, it’s having the time to complete them honestly! The “extra” ones — 31 through 60–on the previous marathon were at 8 gems each — equivalent to a “BOGO” (buy one, get one free) — which most of us consider a great deal. The badges now being offered to buy are at 40 30 and 20 gems each. Quite a difference. 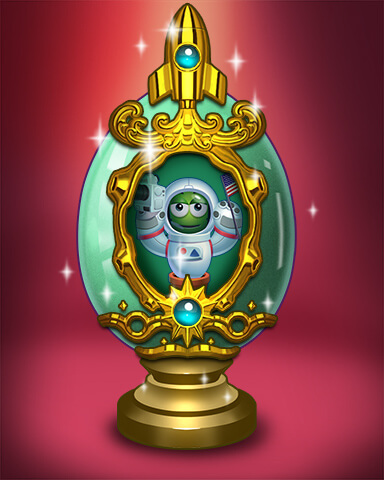 It almost seems like they are introducing 20 gems as the basic price for an MnM badge. Are these actions just the beginning of things to come? 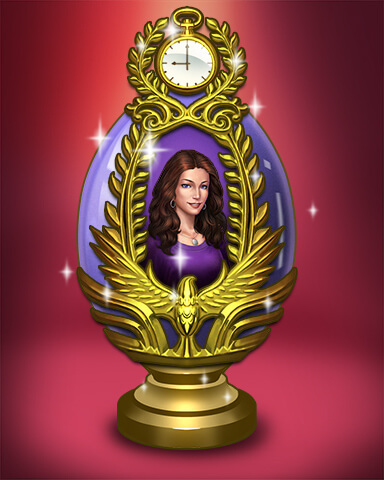 If these purchasable badges are a necessity for completing this Marathon, then I’m going to skip it. If they are just a “bail out” for inability to do them I’ll consider attempting it. I actually felt quite guilty for giving in on the last one and buying one “alternate” badge for my second account since I had completed all the others. I really didn’t want to encourage Pogo in this new practice..
We get to keep any that we complete. The 3 I’ve done are showing when I look at my profile. Pogo just hasn’t figured out what album they will go in yet. As long as it shows when you look at your badges it’s there for life. The iPad badges that we’ve been doing for years show in my profile, and are included in my badge total, but they have never appeared in any album. But they still count. OMG, now I’m really confused, I’ve just started to do the Jet set solitaire badge and while on the challenge page, it is saying Wednesday challenge…so I bought the MNM to complete 6 levels and activated it and it didn’t say you already have an MNM badge activitated in this challenge….has anyone else tried this? It’s not a PBA, the free badges are classified just like the weekly challenges are. If it were a PBA we would be seeing it on our PBA shelf, and it would have arrived as a gift. Why are you confused? If one is classified as a Wednesday challenge you could activate 3 more badges to play with it, a personal, a Mix & Match, and one from a PBA. I understand that you can activate a weekly, personal, MNM and PBA, however it confused me as it came up as a weekly and showed on the challenge page as 4/5 weekly completed so I activated an MNM (I have done all the week challenges) and as these badges are not showing up in an album it got confused. Sorry if this didn’t make sense when I posted….I blame Mondays lol. +any thoughts on which one of the jet set solitaire games offers most points? 300,000 is one heck of a lot of points to get so any help will be appreciated. Thanks! I knew there were ones over 10,000! I started looking, but grew tired of it…lol! Thanks for doing the leg work for me! Don’t rush to do this badge today…there’s a marathon on Wednesday in Jet Set n you can maximize your efforts by doubling up n doing it then….gl..i just play the crab 1st destination 2nd board…no brainer. Any tips for getting through Level 18 on Sweet Tooth Town? There are never enough green candies. 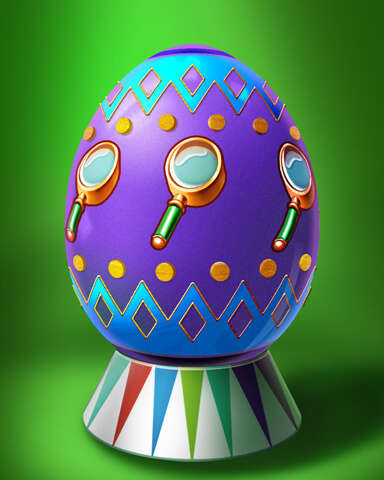 Was not “eggcited” about this Egg Hunt when they first announced it and I’m still not “eggcited” now that’s it’s finally live. And it has some confusing aspects. First one, where are the badges? Where they go when you activate them and then after you complete them? 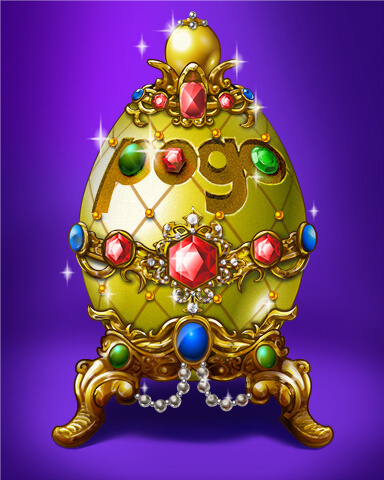 I’m thinking Pogo find a way to have everyone who wants the badges do them “Now” (a way to push players into spending lots of gems in power ups or extras to get them all done in one month???) because seems like there’s no more “If you can’t complete them they are yours to keep because they go in your MnM albums where you can activate them later at your own pace”. Seems like even if you activate all, if you don’t complete them you lose them. The alternate badges that we have to pay gems for are the only ones for the entire promotion? One thing is sure, this set of badges will keep me very busy the entire month. And then there are more marathons comming and …….. am I the only one tired of this constant flood of badges? Am I the only one not finding it exciting and fun anymore but monotonous kind of boring and super stressful? I’m with you, nessa. Too much all at once. Another marathon on Wednesday? That’s just ridiculous! 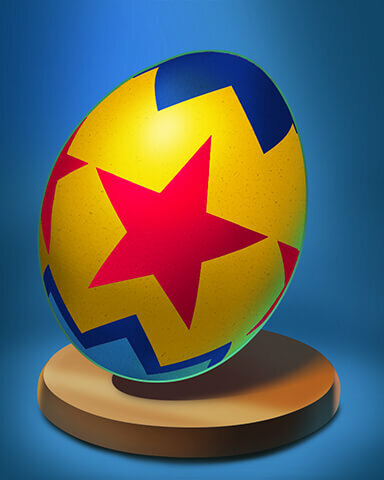 And I’m so confused over all these “egg” badges I don’t know where to start! I never did understand Sweet Tooth Town and have no idea where I am on it. And if possible, I’m not going to buy all the 40 gem badges. As I said, I’m totally confused! It doesn’t say anyplace that you have to finish them all to keep them. I love this challenge but I finished I think 5 badges but they are not showing in my albums.. Should they show? No, they’re not yours until you complete all challenges (including the ones you must buy). It’s kind of shady how they worded it. No, you get them as you progress. If you look you will see the badge and power up pack that you get at every checkpoint. So even if you don’t finish the last section you will get what you earned up to that point. It’s like the Magic Marathon. You got 2 completion badges for completing 30 of the badges. You got a 3rd completion badge for completing 40 badges, a 4th completion badge for completing 50 badges, and all 5 completion badges if you did all 60 badges. Thanks Moms! That helped a bit! 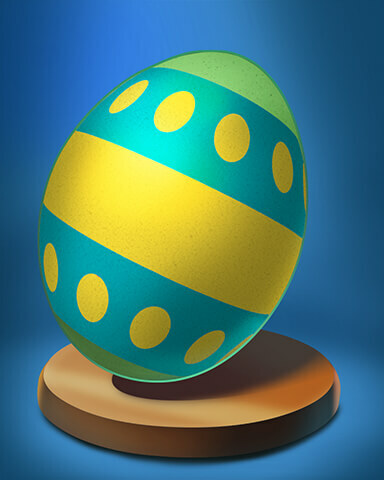 So let me get this straight If I choose not to purchase any badges in this egg hunt, there is no reason for me to do the free ones either, because I don’t get to keep them? You get to keep whatever you complete prior to the deadline of 4/28. You will also get completion badges and power up packs based on how many points you have at the end. The only thing extra you get for the 8 M&M Badges (22 points) is 1 extra completion badge. 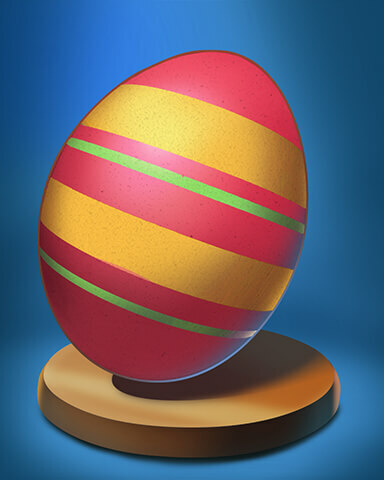 Just look on the Egg Hunt page where your progress is tracked and you will see every time you complete a goal. That’s what I’m wondering too. Is there no point in doing these badges if I don’t plan on purchasing the other ones? Can someone please help clarify this? Since these badges are not “officially” MnM badges you can activate them with any MnM badge or it seems like it. 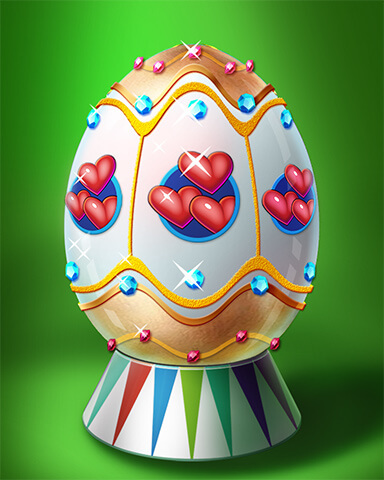 I activated the Easy one for Tri Peaks solitaire and really didn’t remember I had a regular MnM going on and I had no problem activating the egg badge. And when I went to play it says I have to Active badges. This is a good thing I guess. So there’s a total of 45 badges then? And I don’t understand their “progress meter”. Why is the last section different with the word Bonus? Does it mean we have to earn 104 points and then 22 Very very confusing how all this works, even more to those who don’t want (or can’t) complete all the badges. Sounds to me like if you decided to do only the free challenges or only a few of the free challenges you get nothing at all and you don’t even get to keep any of the badges. This is how I see it but I’m all wrong most probably. It would be great if they could explain better and in detail how their promotion works. You get to keep any badge you complete. What I mean is that you don’t get the badges unless you complete them. Is not that the Magic Marathon for instance, you can unlock the 30 freebies but don’t have to do them right away unless you want the reward badges, you can keep all 30 badges in your albums for ever and activate them whenever you want. Not these badges, they are do them this month or you lose the opportunity to own them. And this is why IMHO it’s totally unfair for those who want to “own” the badges but can’t do them all this month because they don’t have the time or whatever other reason. By the way, anyone has completed 5, 10, etc. points already? What are the rewards? Find out what the rewards are. First 5 poinst it’s Claire Hart power ups, the 10 points is Jet Set power ups. I just earned 5 points, do I have to “Claim” my CH power ups or they were just added to my account? Sorry sorry, I’m very sorry. I really should “check” and think lol before I post. I just read that rewards will be awarded after the event ends. This is good because I get to write down what I have in advance and e sure the rewards are indeed added to my account later. The bonus stage is the badges that are not free. If you complete all the free badges you will earn 104 points. I looked this over when it made it’s appearance at 7:00am Eastern. Then, when I got home from work, I got out a pen and paper, looked it over again, and added things up – points and gems. I love to have badge work, there are some fun challenges here, and free is good. I’ll work on the ones I like and have some fun doing so. Best of Luck to everyone wanting to complete the whole thing. Does anybody know what the mini-animals are on Mahjong Safari. There seems to be only 2 per game. The mini animals are the ones that make up your “Safari” on the left hand side bar. There are 2 on Easy, 3 on Medium, and 4 on Hard. I am thinking that maybe the reason these badges are homeless right now is that they are avoiding the limits on specific types of badges. Such as only 2 weekly badges at a time. Or only one premium at a time or not having a conflict with other M&M badges in a same game. I am hoping that these badges will find a home in an album when the event is over. 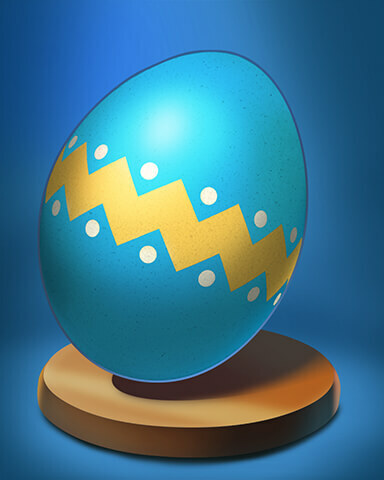 as others said I found first badge i completed in the Great Egg Hunt was in my profile. For Double Deuce Poker is it better to Hold only “Jacks or better” or Hold also small pairs hoping for 2 pairs or trips? Is better to Hold pairs or “possible” flush? Can anyone help me out. I am playing Sweet Tooth Town and I am at level 30. It will not let me go any further up with the levels? I can go back to previous level, but can’t go any higher? Well, after looking all over the place in all the albums … I finally found the place where this badges are stashed …. go to your Game Awards album … then click on …… Challenge Point Badge Won … and presto …. there are all the completed point badges won to date …..
Actually when you go to your Game Award Album and click on “Badges Won” you see a list of related links on the inside cover. When you click on “Challenge Point Badges Won” you get taken to another album. It actually says Challenge Point Badge Album. But as we all know it doesn’t show on any shelf. lol 😆 so true! It never occurred to me to look in that album. Across the top on the Challenge Point Badge Album it has the year as 2011. Why oh why couldn’t they have 2019 there? In Poppit Bingo, if you can afford to, just hit New Game if you don’t get the first bingo. I’ve been doing that and have 2/5 in half an hour. I have over 95,000 tickets and over 8,000 power-ups, so I’m in no danger of “going broke” from this strategy. I managed to get the badge in less than 2 hours on my account. I haven’t done it on my 2nd account yet, but will. You have an advantage over the bots if you play 4 cards, they only play 3. And I don’t think they use power ups either. I’ve played a lot of bingo to get to rank 152 and I have gotten the 1st bingo a lot more than I should. So I don’t think it’s stacked against us. Have you tried different numbered rooms? Have you tried playing during different hours? And if I don’t get one in the first 3 games I leave, clean everything out, and try later. I never sit in any game if I’m not getting whatever I’m trying for. Like Suz, I also got this badge under 2 hours. Since I wake up very early I thought that was helpful as well as playing with 4 cards. This is a game I play every morning so I have ranked up in the rooms (I don’t know if that makes a difference). As soon as I received the gold balloons I clicked on the gold numbers and when I was lucky it would give me a bingo which I was fast to click. Don’t know if I helped or not but it can be done. Takes patience like so many of the other challenges. Sorry if it’s been asked and answered already – I actually looked through a ton of posts, but didn’t see it. 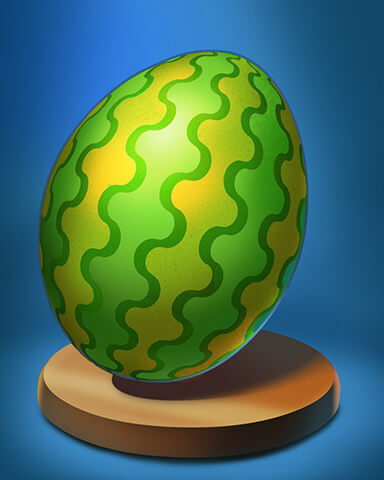 Can we activate one of the Egg Hunt Badges with a regular Wednesday Weekly Challenge? 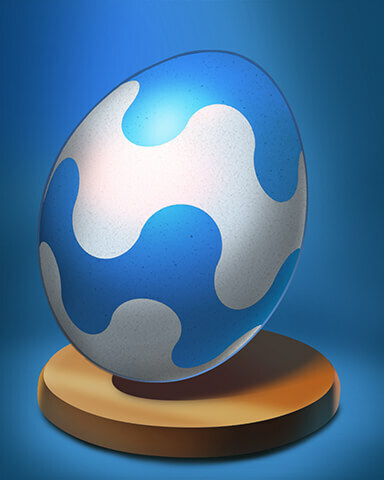 There’s a 10 game Marathon starting on April 10th, and there are another 28 egg badges coming out before the end of the month, so we will have plenty to do. 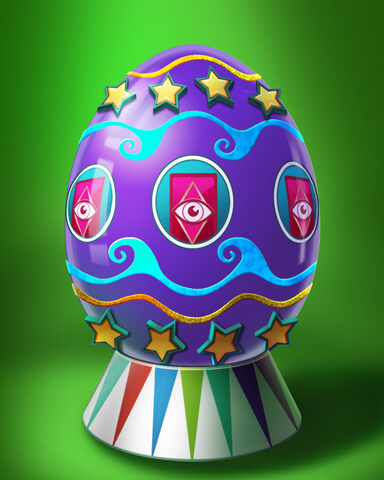 It looks like the egg badges will be coming out on Mondays, 9 on 4/8, 10 on 4/15, and the final 9 on 4/22. 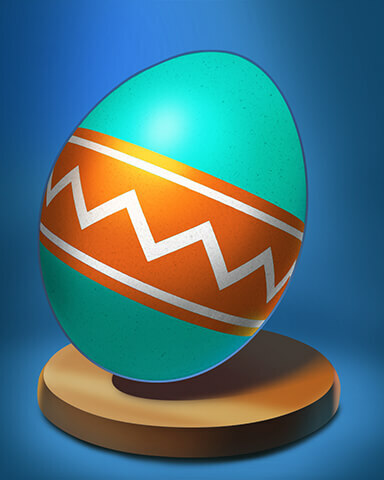 Are there more eggs badges for purchase comming too? The Cookie Connect badge to serve 600 customers it’s terrible, I think is the worse of the lot, even using the “lose and X out” method to have it count double customers , pthe badge is taking for ever. And guess Trizzle will be as bad now that they changed what counts as a “5-dolls match in a move” . I would rather had all the badges released once like the Magic badges to get even more out my way right away. I haven’t started my Trizzle badge, but think it’s going to count the old way b/c of the wording. It says 5 or more this time. That’s what the old badges used to say. Unfortunately, it’s using the “new” way to count 5-matches. I did some trials. This is a long badge. 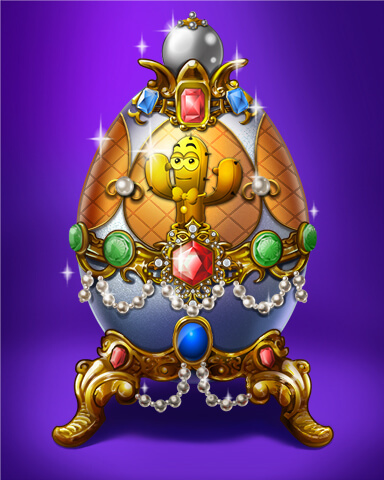 Does anyone know what the April 10th Treasure Marathon is going to be? or have an educated guess? 5 badge marathon albums usually concentrate on one game and 10 badge marathon albums usually are dedicated to multiple games. Since Treasure Marathon is going to have 10 badges then it will probably contain multiple game challenges. Is there a list of the rewards for getting certain points that is obtainable the first week? 52 points down! Cookie Connect was stomach turning! I just can’t! WTG for finishing it but why? I’m seriously curious why subject yourself to it? The first master goal would be like have my fingernails torn out. Don’t get me wrong, you and I love free badges, but it seems for years that Pogo has taken the fun away. And the badge art isn’t even interesting anymore. JMHO. The same reason I’m doing it, for the completion badges, and the satisfaction of completing it. And I’m attempting to do it on both my accounts. When this happens to me I just close all browser windows and then try again. First Class is clear 25 foundations, not win 25. So that is 7 wins. I see that. I don’t why I thought 25 games but then I don’t think it is going make too much difference as I can’t seem to even win one game………..lol Maybe I will keep trying or maybe play the alternative Canasta game as I really do like that one. Anyways thanks for responses. I am enjoying 😸 playing Sweet Tooth 🦷 because at the same time my friend is playing and we talking on the phone ☎️. That got me thinking. 👨🏻‍🎓 This event would be so much better if the games had chat on the side. 🗣 The time ⏰would fly 🦟 by. 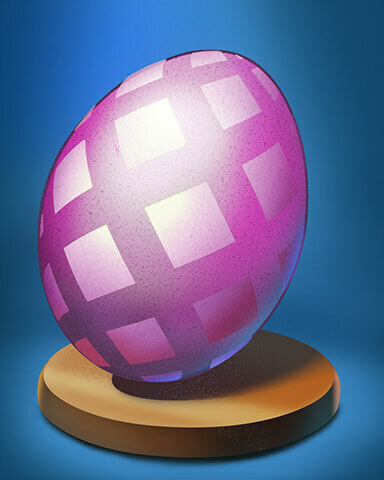 Is anyone else missing the great egg hunt page on pogo? mine’s gone and the progress I made on cookie connect is gone dunno what’s going on? anyone? There’s a link to the page in the post above. I’m not sure if this tip has been shared already. I did read through some of the comments on this page but didn’t see it. For the Sweet Tooth Town challenge to clear 7500 red candies, I was playing the Chocolate Factory level 2 when I accidentally activated a sugar swirl candy with a red lips candy. The effect was fantastic. Every red candy turned to red lips and removed another candy from the playing field. Then I tried it again with a red striped candy in another game and every red candy turned to a red striped candy and they took out the rows. In both instances nearly the full board of candy was removed. 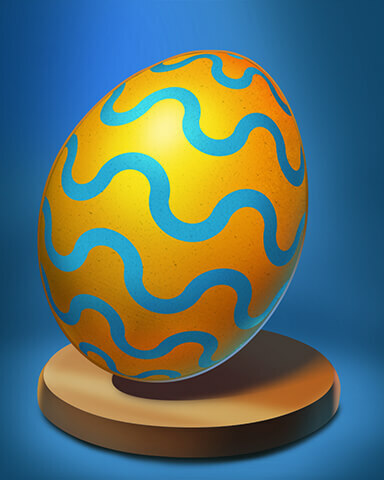 I completed all the Week 1 free challenges for the “Great Egg Hunt”, surprisingly I really enjoyed the challenges. 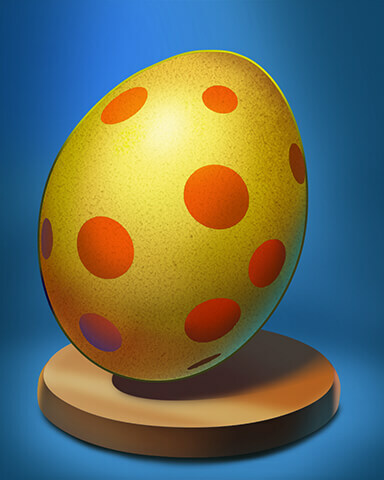 When will the Week 2 challenges be available? 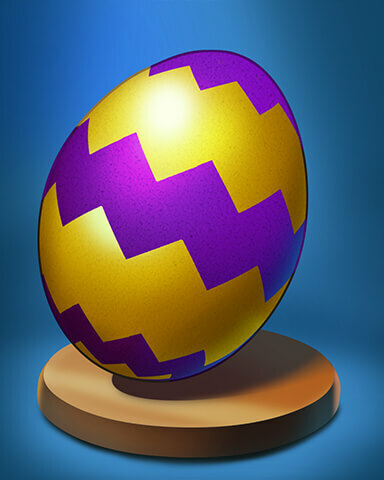 Not sure why but I cannot get to the “Great Egg Hunt” page on Pogo but was able to use the link provided here on Badge Hungry. Thanks Lura! 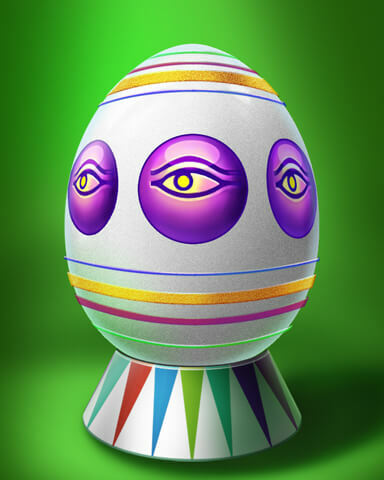 None of the rewards will be given out until after the entire event is over on 4/28/19. I wouldn’t start looking for them until the first week of May. I finished all the free ones except for Jewel Academy which i will do next weeks challenge . With Cookie Connect is it the most you can get is serve 4 customers? I have finished all the available free badges. I tackled the easy ones first, then on to the more difficult. I found the Poppit Bingo the most difficult and most time consuming. I am not willing to pay/use gems but I am doing this just for the challenge. Good luck to all!